In the two decades following World War II, the counterparts of the legendary American "X-Planes" were the exotic research aircraft designed, built, and flown in England, France, and other European nations. Technological advances pioneered by these aircraft led to the world's first jet airliner (1948), first jet transport with rear-mounted engines (1956), first VTOL jet fighter (1964), and first supersonic airliner (1969). 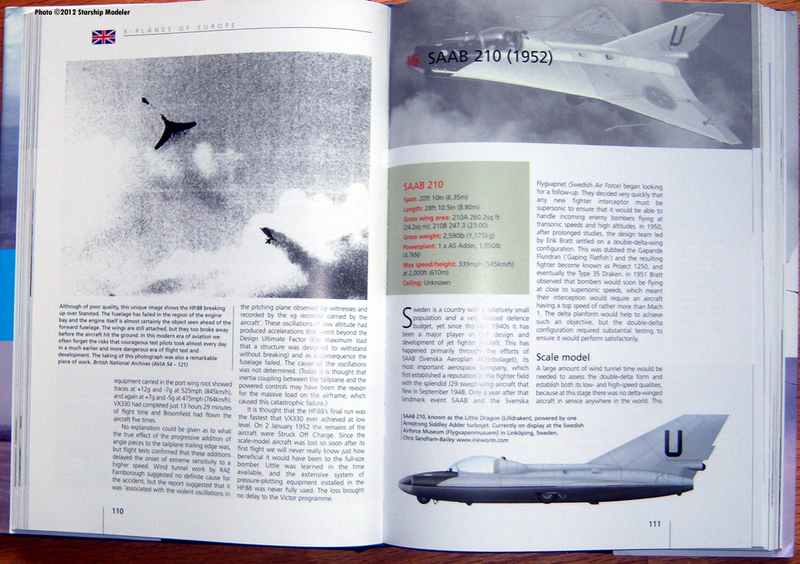 Aviation historian Tony Butler and aviation photographer Jean-Louis Delezenne have pulled together the stories of 38 British, French, German, Swedish and Swiss research aircraft from 1947 - 1974. 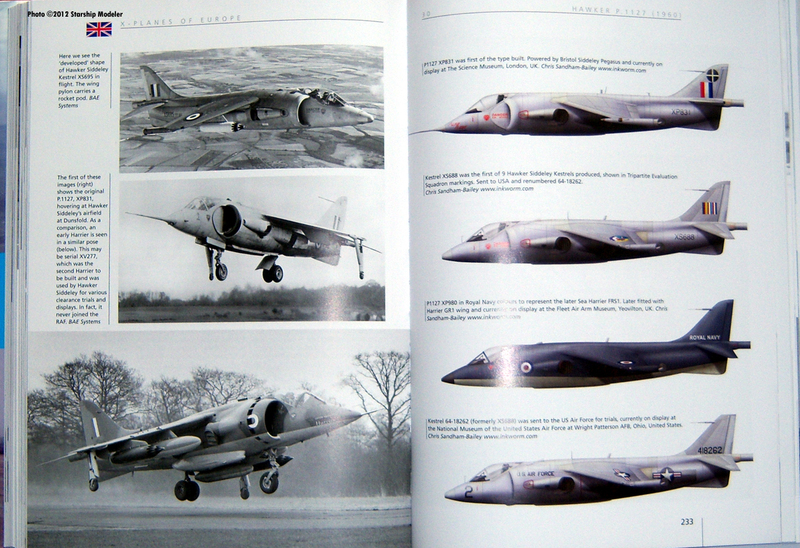 Combined with 250 line drawings, color and black & white photographs (many previously unpublished), they have produced an unique and in-depth look at these "secret" aircraft. 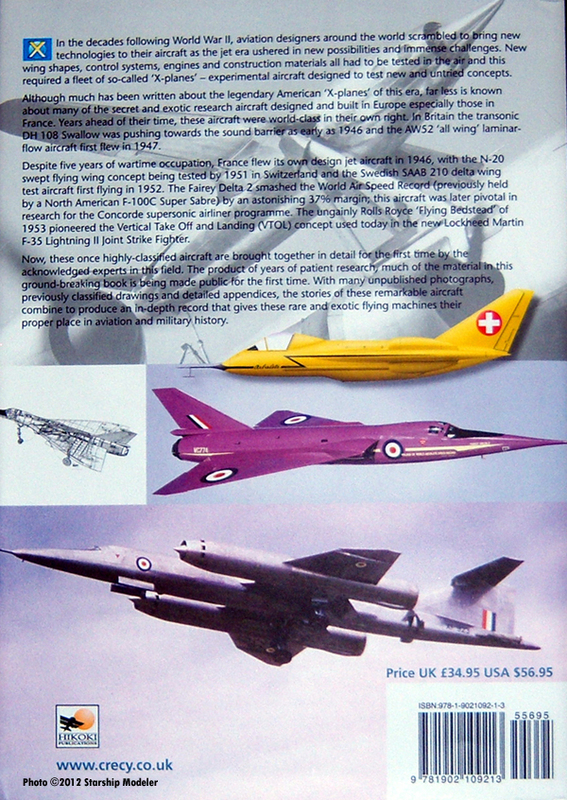 After Acknowledgements and a brief Introduction, the book launches into a chronological listing of aircraft, starting with the UK's de Havilland DH.108 Swallow from 1946. Each starts with a concise table summarizing physical characteristics and performance. This is followed by an in-depth look at the background leading to each aircraft program, their development history, their flight testing career and eventual disposition. Each entry is lavishly illustrated with period photographs. Scattered throughout are color profiles, cutaway drawings, and other illustrations that augment the text. 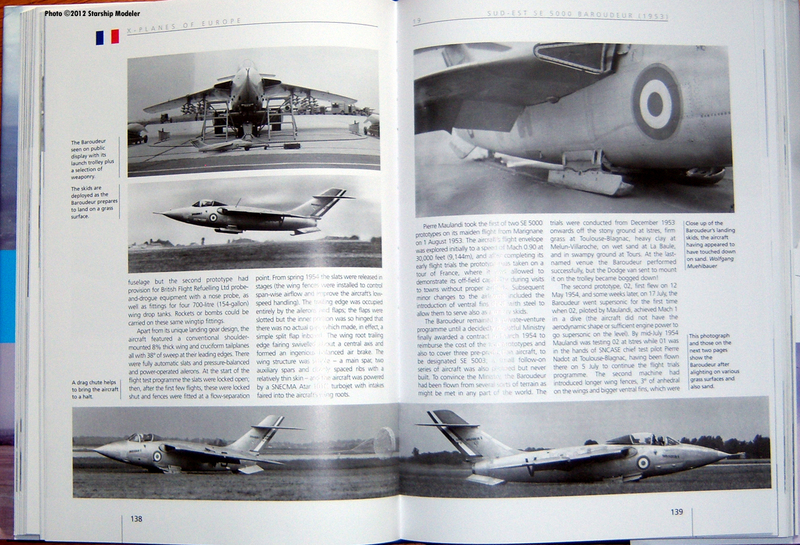 Short sections on the Musee de l'Air et Espace, Paris le Bourget (France's Air & Space Museum, a list of surviving airframes, Glossary, Bibliography and Index round out the text. All of this is sharply printed on good qualty paper stock. 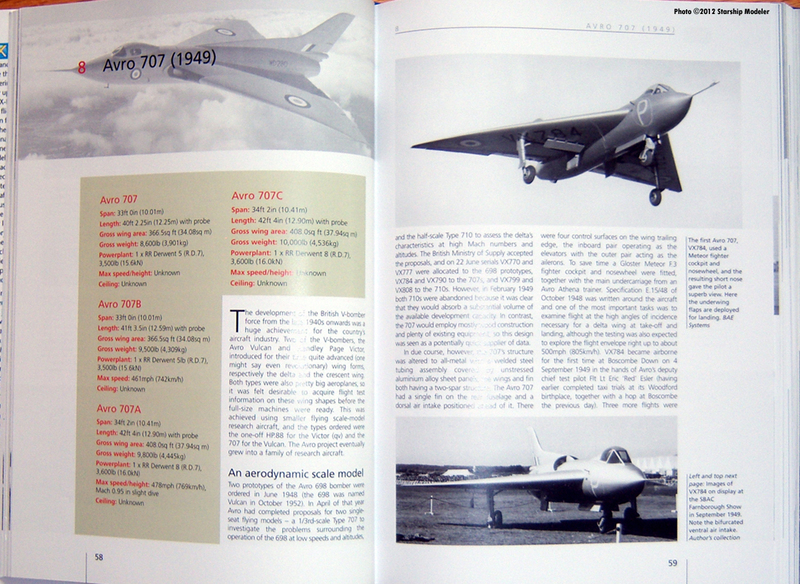 As a history of aviation/aerospace testing, this book is hard to beat. It's detailed, well-written and well-illustrated. As a scale model reference, it's a great place to start (a number of these aircraft are available in kit form, though usually in resin or low-pressure injection molded plastic from European manufacturers - Squadron.com is a good place to start looking). 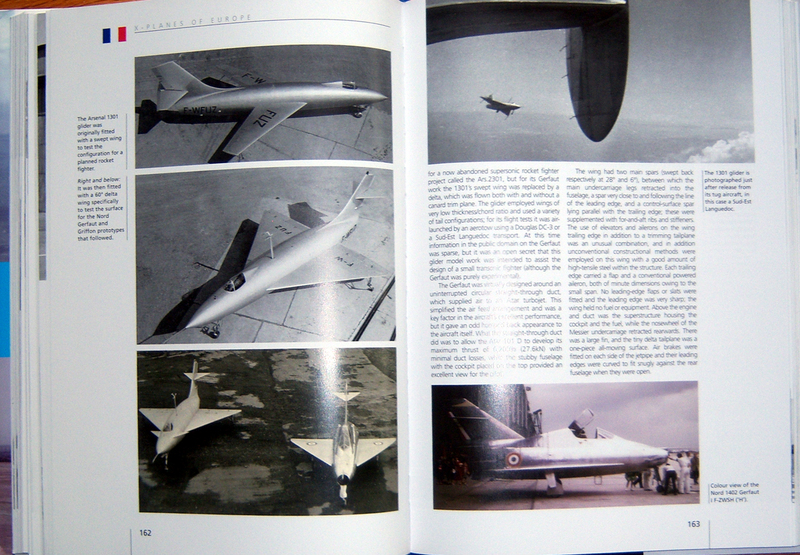 There some truly bizzare looking contraptions inside the covers of this book, from the French Leduc 010, 016, 021, and 022 series of ramjets (1947 - 1956), to Handley Page's HP.115 (1961), to the famous Rolls-Royce "Flying Bedstead" (1953). There's plenty to intrigue and inspire the sci-fi modeler. 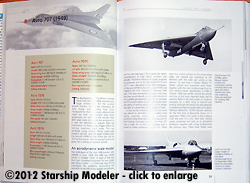 This page copyright © 2012 Starship Modeler. First posted on 6 November 2012.